Glenn joined NICS as a Computational Scientist in February of 2009 after working for six years as a Research Associate for Computational Engineering at the SimCenter: National Center for Computational Engineering at the University of Tennessee at Chattanooga. 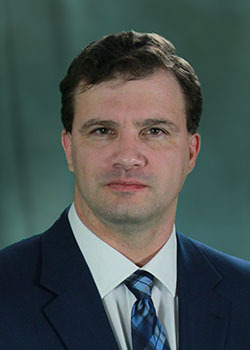 His involvement in High Performance Computing spans more than 12 years, beginning with his appointment as a Barrier Graduate Engineering Fellow in the Bagley College of Engineering at Mississippi State University in 1998. High Performance Computing (especially Parallel Algorithms and Scientiﬁc Computing), Kinetic Methods (especially Lattice Boltzmann and Boltzmann methods), Computational Mathematics, Computational Fluid Dynamics, and Object-Oriented Programming and Design. Ph. D., Computational Engineering, University of Tennessee at Chattanooga, 2008. M. S., Engineering: Computational Engineering, University of Tennessee at Chattanooga, 2004. B. S., Computer Engineering, Mississippi State University, 1998.